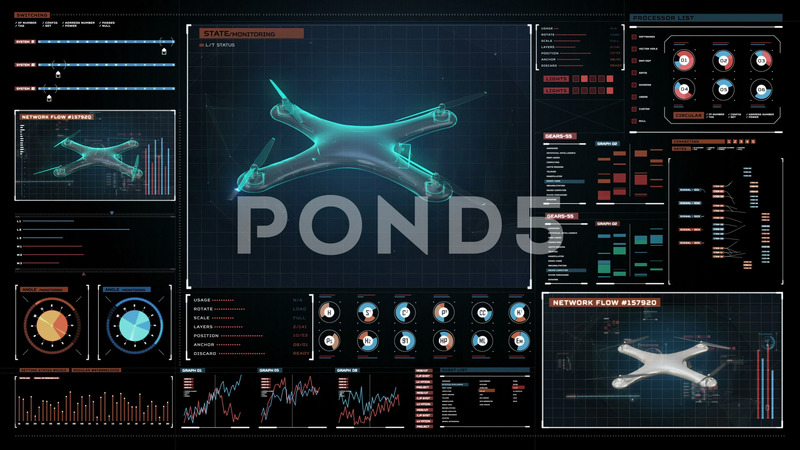 Rotating Drone With Futuristic User Interface, Futuristic Interface. 4K. 1. Description: Rotating Drone with futuristic user interface, Digital futuristic display interface. Virtual graphic. 4k movie. 1.